It is just over a week until we finally get to see the 50th Doctor Who Anniversary Special and things are already getting really exciting. The bow ties are getting dusted off; the sonic screw drivers are at full charge and the stage is set for some amazing fun. If you haven’t seen the short film the BBC released on the weekend called Night of the Doctor you really need to – it is perhaps the most significant development in the last several years in Who canon. In the lead up to the celebration though, let me take you on a journey through Doctor Who’s re-boot in recent years, covering the 9th, 10th and 11th Doctors – Christopher Eccleston, David Tennant and Matt Smith. Here I will have a look at my favourite 25 episodes of this era and at the end give some thoughts on Night of the Doctor and the lead into the 50th Anniversary episode Day of the Doctor. Follow me under the jump for more! This episode remains one of the greatest opening episodes to anything I have seen. Keep in mind that for many people this was their introduction to the entire Who universe. Christopher Eccleston’s Doctor reignited the flame for long time fans and made new viewers fall in love with the Doctor anew. 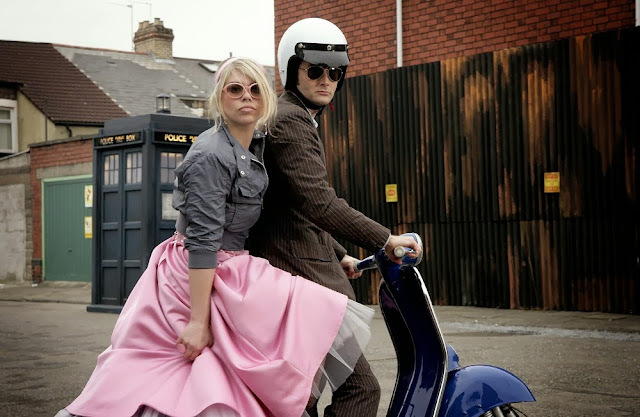 Rose was a wonderful addition in a companion that, although she hadn’t done higher education and had made herself believe she wouldn’t amount to anything, proved that intelligence is about a lot more than grades and made an amazing contribution to the Doctor’s life. Billie Piper was definitely a surprise in this regard, but a really welcome surprise. 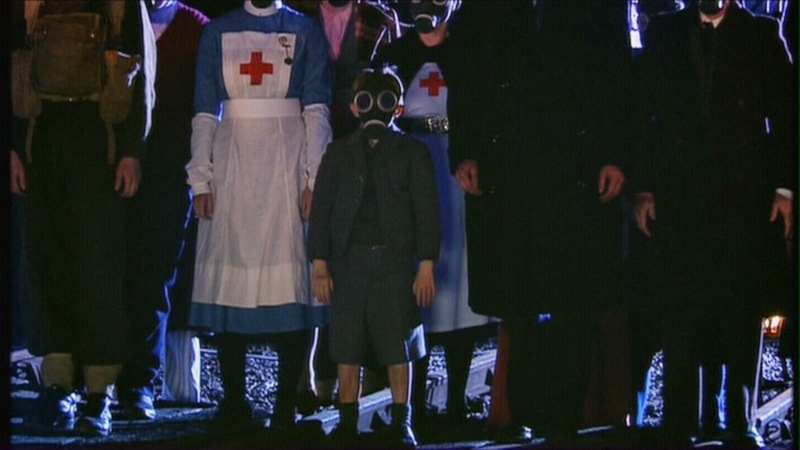 How terrifying is the gas-masked child in this two-parter?! Oh man. Here we are also introduced to Captain Jack Harkness who went on to become a very important part of the New!Who era. This was one of the first season’s scariest episodes and showcased some of the finest writing from now show-runner Steven Moffat. Ah, the good old days. The culmination of the Bad Wolf clues is still to this day one of the finest executions of clues interweaving a plot. Strung together over time, in The Parting of the Ways we learn that Rose is the Bad Wolf and that she absorbs the time vortex to save everyone and send herself a message to come to this time and place. To save her, the Doctor absorbs the time vortex from her and dies; regenerating into David Tennant’s tenth Doctor. Importantly, Rose also saves a dying/dead Captain Jack, accidentally giving him immortality, which leads to his own show Torchwood. Billie Piper is stunning as Rose in this episode and the tenderness with which the kiss the Doctor gives her to seal his own fate is never replicated again. 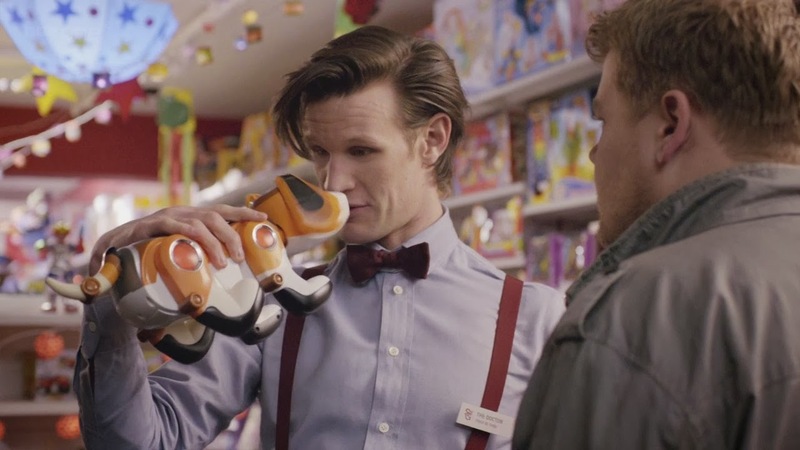 From this point the Doctor kissing his companion at least once becomes a joke, and some of the season long arcs made up of scattered clues are hopeless. But we can remember this one and how truly fantastic, beautiful and sad it was. I don’t know why I like this episode so much although I think that it’s because to me, The Idiots Lantern was the perfect episode for a child getting into the series. It has the perfect mix of era style with humour and the very eerie faceless people while still being unbelievable enough to not cause nightmares for years. I particularly like the episodes when the Doctor and his companion go back in time and wear interesting clothing and see the world from a different angle. Doomsday is so painfully sad and remains one of the saddest episodes of New!Who. I had managed to remain completely oblivious to the fact that Billie Piper was leaving Doctor Who and therefore had no idea that she was going to be trapped on the other side of a wall, in an alternate universe and lose her Doctor. I’m getting shivers writing it. Since then, and with Christopher Eccleston before that, I have always known when someone was going to leave but never how. I wonder if the Internet has taken away some of the brilliance of storytelling by knowing that most viewers know the parting or the regeneration is coming and writing for that. For me, not knowing made this episode particularly heartbreaking. Time to try out a new companion – and guess what? She’s studying to be a doctor! 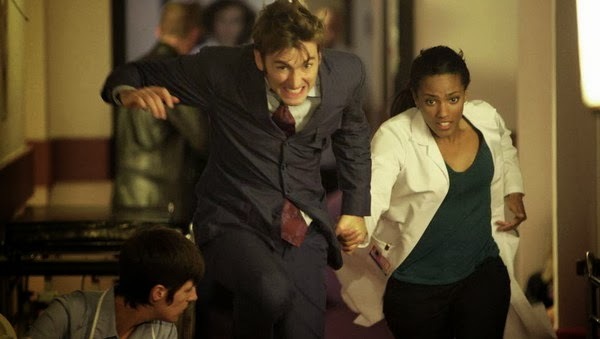 Smith and Jones was a damn lot of fun and a great introduction to Freema Agyeman’s Martha Jones. 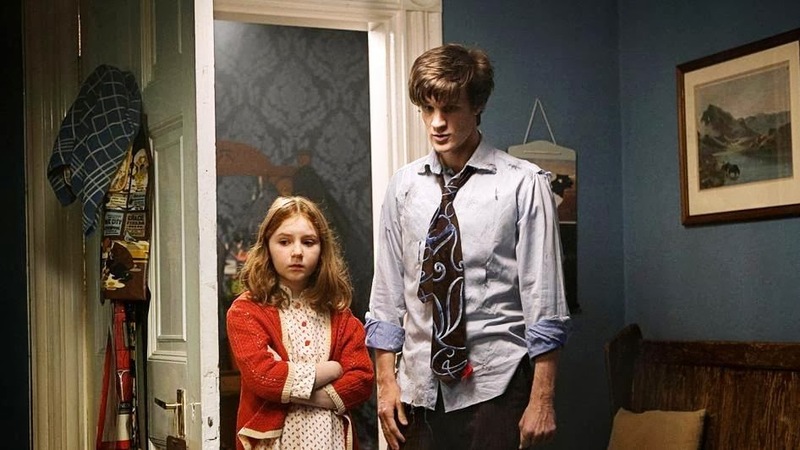 It’s very sad that Martha became a bit of a punching bag and lived so exclusively in Rose’s shadow. I continue to this this was a mistake because she had the ability to have been exceptionally good. There are moments where she shines though and this episode foreshadows that depth of intelligence and that wonder for the world. Gridlock is a self-contained episode that remains close to my heart because it was so character driven. The pace of New!Who is something a lot of older Doctor Who fans have said they find trouble with. While I don’t feel the same way, in the episodes where the pace is replaced with slow burning character development, emotionally poignant moments and a deeper look at our world it is a real treat. This two-part episode is simply breath-taking. 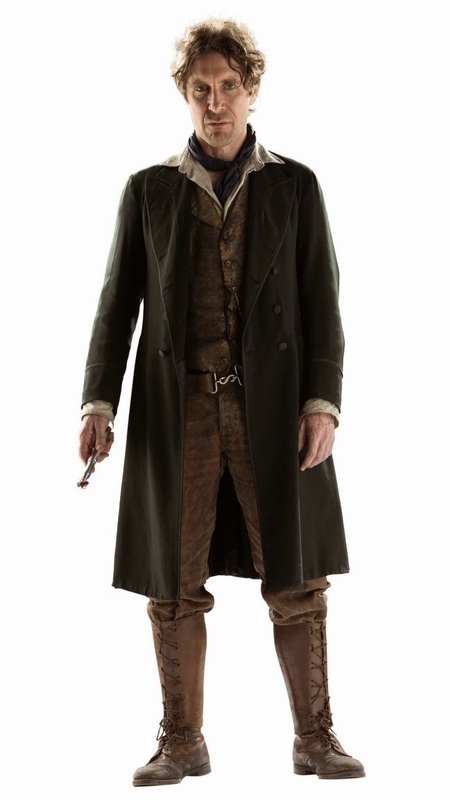 The Doctor, outrunning The Family, adopts human form and forgets who he is. He becomes John Smith, a teacher and a man in love. 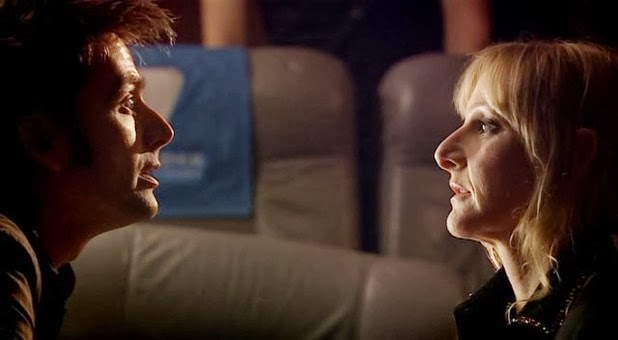 As he begins to start his normal life and forget how important Martha is, how important he is, we see a beautiful struggle between this man and the lonely Time Lord. Freema is fantastic and plays Martha in such an abandoned but capable way. It sets up where Martha goes at the end of the season, becoming a lone warrior telling the Doctor’s story for a year, saving the world and then choosing to leave the Doctor and go her own way. Harry Lloyd also appears in this episode as Son of Mine and deserves a special mention because he gives such a wonderfully creepy performance that it’s unlikely anyone will forget those characters. Blink is probably Moffat’s finest work. The weeping angels are simply terrifying. There aren’t any words to explain why or how, they just are. In later episode the angels lose a lot of the mystery that made them such a terrifying foe in this episode, but this instalment remains one of my all time favourite episodes. This is in no small part due to a then unknown Carrie Mulligan who played the episodes hero Sally Sparrow. 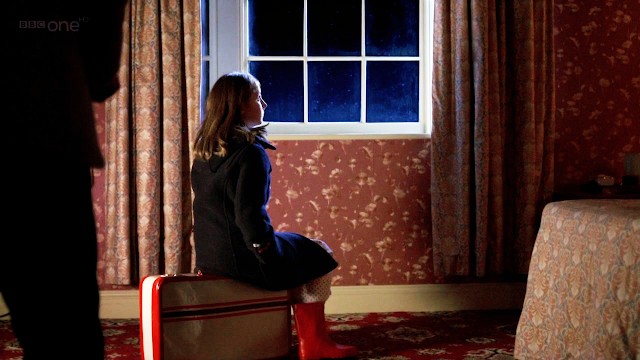 What I would give to see Sally as a companion despite knowing that she managed to get on with her life and her own adventure. Midnight is probably Russell T Davies’ finest writing moment. The Doctor heavy episode (not featuring his regular companion Donna Noble) was the best episode of the fourth season of New!Who. When trapped with a group of people stranded and faced with death, the Doctor sees the worst side of humanity and doesn’t get his usual treatment of being loved, put on a pedestal and allowed to save everyone. Following on from Midnight is the Companion heavy (and Doctor-lite) episode Turn Left which focuses on Donna Noble and allows us to see what has been happening with Rose Tyler and why she has been appearing on screens and streets throughout the season. The events of the episode centre on a Doctor-less world; what would have happened if Donna wasn’t there at Christmas 2006 and he had died? Rose is trying to convince Donna to save the world from that. This directly leads to the season finale and in many ways the fate that is awaiting Donna. 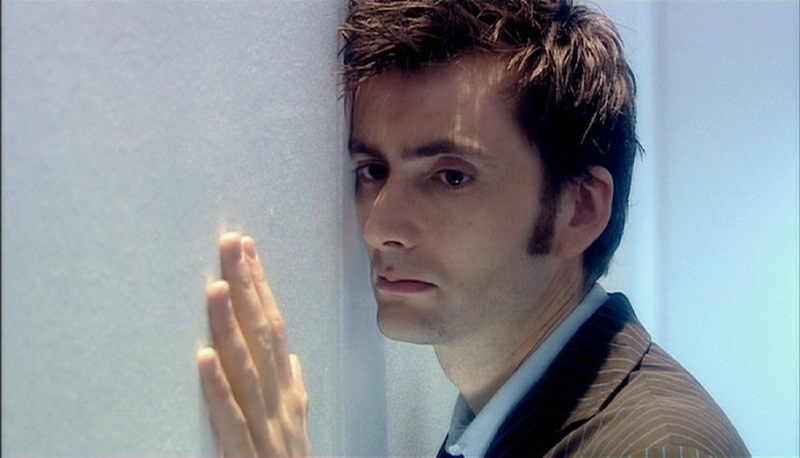 The Waters of Mars features the tenth Doctor at what I consider his lowest point; the height of the manifestation of his God Complex where he believes he can save everyone because his time is running out and if he can change the destiny of other people he can change his own. His strident belief leads to Adelaide Brooke, another one-episode companion, sacrificing herself for what she knows is right. 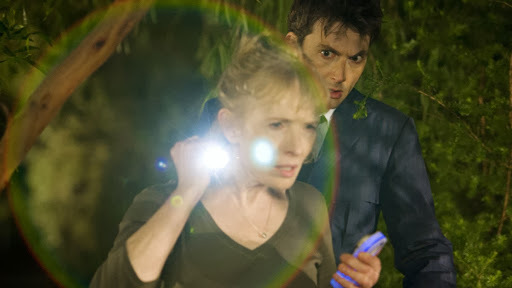 It’s a masterful performance by Lindsay Duncan as Adelaide and a stepping-stone to the true end of the tenth Doctor. Matt Smith is introduced as the eleventh Doctor with all the panache that you could hope for. 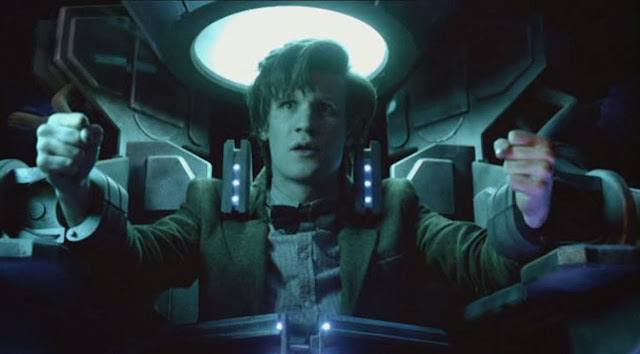 The strength of the episode is Matt’s performance and characterisation of the Doctor; instantaneously becoming the Time Lord. The humour is perfect and his interaction with a young Amelia Pond makes the disappointment in the older incarnation, Amy, all the more unbearable. Matt Smith’s interactions with children make me desperately sad that they hadn’t given him a child companion or an opportunity to spend more time on screen with children because he was truly magical in that regard and I don’t think New!Who has struck that chord before. The Beast Below is one of the most fantastic episodes for ethical analysis and I love it for that reason. Doctor Who has had an exceptional ability to convey strong ethical questions throughout its run, and especially in recent years. The episode is perfectly executed, has gorgeous visual effects and strong performances by the entire cast. I don’t think I can adequately express my feelings towards this episode. Mental Illness is very infrequently displayed on television, let alone in a sensitive and interesting way. In Vincent and The Doctor, the Doctor and Amy visit Vincent Van Gough and witness first hand his anxiety and depression. The Doctor notes at the end of the episode, even though Vincent’s fate remained the same, that life is a pile of good things and bad things and just because the bad pile was bigger it doesn’t make the good pile any less important. It was a touching illustration of the confusion and pain surrounding depression and suicide and the end of the episode included a note to encourage friends and loved ones with depression to seek help. An important message and a sensitive illustration of the complexity of life and the fact the anyone with those illnesses can also be brilliant, talented, sensitive and have many good aspects to their lives as well. The Pandorica itself is a wonderfully constructed concept and prop, but the idea that the most dangerous thing in the entire universe is the Doctor was a fascinating thing to watch unfold. 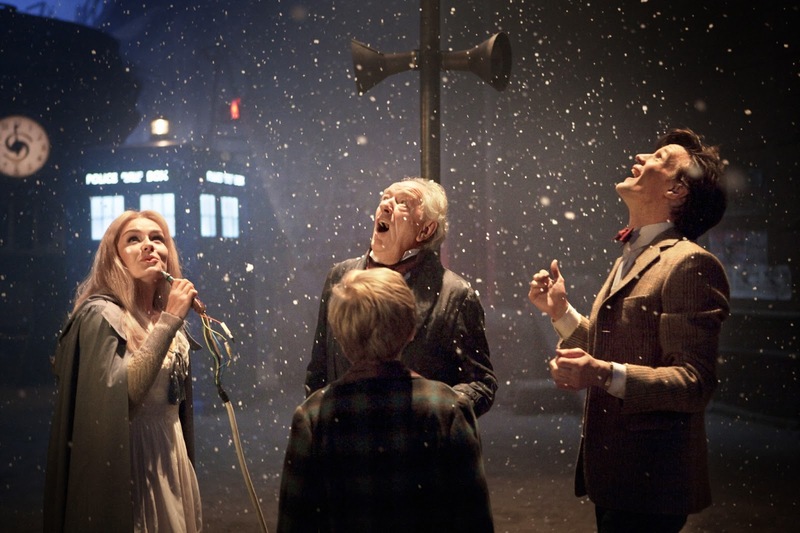 The Christmas Doctor Who episodes have never been my favourite but I have to admit, the Christmas Carol one made me quite happy. Named for the Dickens novel and centred on the idea of using that story to change someone else the episode is greatly aided by an absence of Amy and Rory for the most part during their most annoying period. This two-part story is one of my favourites in the eleventh Doctor era. 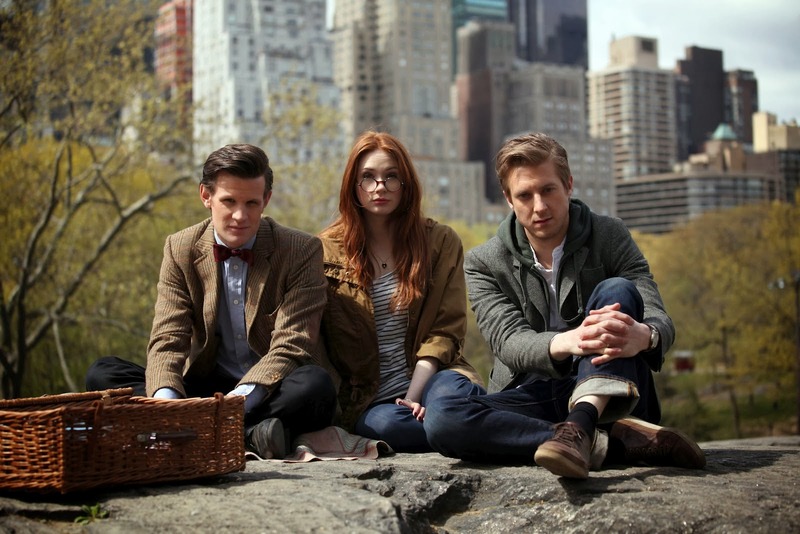 The Doctor and his companions receive notes to meet and witness the Doctor’s death at the hands of an astronaut that emerges from a lake. Their investigation takes them on a journey into understanding the most terrifying Who villains since Blink; The Silence. These alien looking creatures disappear from you memory and vision the second you aren’t looking at them directly. The Doctor and his companions have to mark themselves every time they see on of The Silence to remember what they have seen. 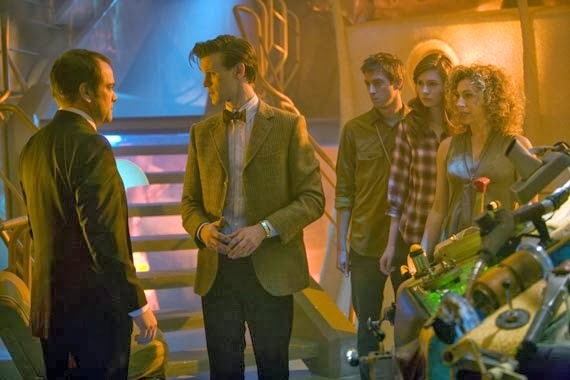 The episode sets in motion a number of sub-plots including Amy’s capture and her pregnancy – later to be revealed that she and Rory are River Song’s parents. We also learn more about River’s timeline and backstory, including her ability to regenerate. The episode features Mark Sheppard as Canton Everett Delaware the third; another companion that I would love to see return! The first Neil Gaiman penned Doctor Who episode sees the Doctor meet the physical incarnation of his very own TARDIS and his real wife. The story sees the Doctor and TARDIS interact in a loving and chaotic way and gave viewers and fans the chance to see the Doctor with his constant companion. 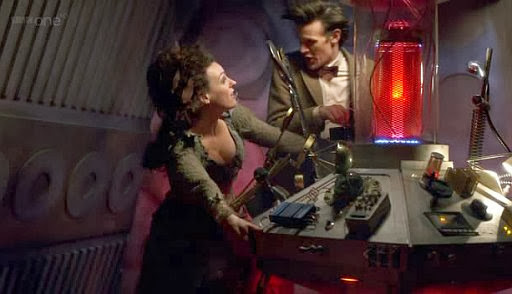 It has some of the greatest dialogue and the TARDIS even makes the Doctor doubt whether he stole her or she stole him. Perfect. This is Amy Pond and Karen Gillan’s finest moment. The Girl Who Waited it heart-wrenching and makes Rory and Amy’s relationship more real than it has ever been. It also opens up the question about what happens to companions who spend too long with the Doctor and questions the decisions that the Doctor makes. An older Amy, who was left behind, has to help the Doctor and Rory to save a younger version of herself and Rory begins to understand just how deeply Amy loves him. 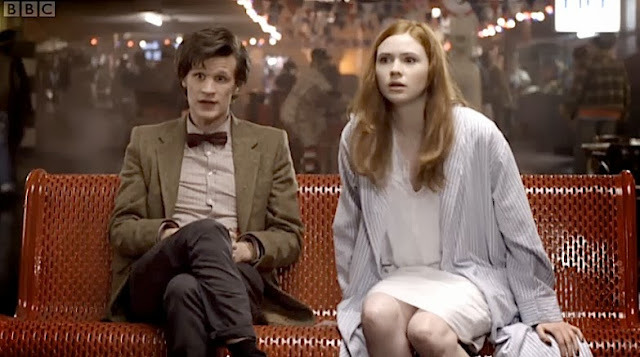 Karen Gillan certainly proved her acting capabilities in this episode and demonstrated that it has been the writing for Amy’s character that has lead to a terrible character – not the acting. The God Complex is spooky and emotionally fraught. It deals with ideas about belief and fear, and how to let go of those things in order to move forward with life. We get some insights into our lead characters but also get an array of one-episode characters to explore some deeper themes. I love Craig and I love his interaction with the Doctor. I love his baby Storm-ageddon and I love the Doctor being mistaken for being gay and being totally okay with that. I also love the Cybermen in this episode and the Doctor checking in on old friends, on him getting a job in a shop again and speaking baby. 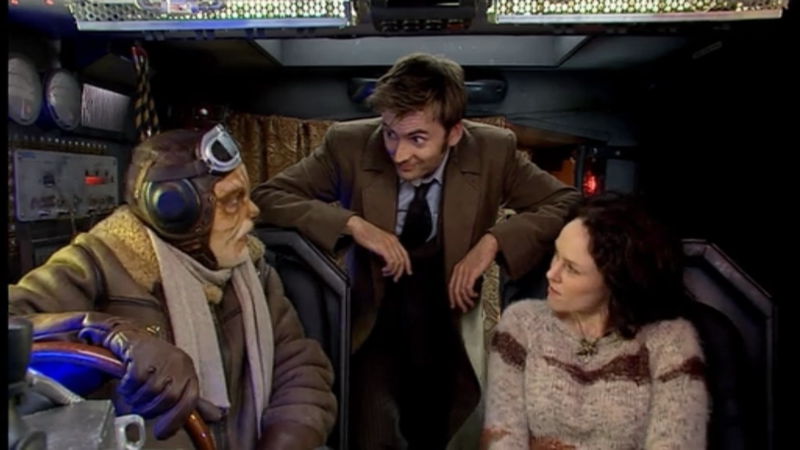 This episode is a lot of fun but also gives us a chance to see what happens when the Doctor stops. Following in that theme, The Power of Three takes another and a longer look at what happens when the Doctor stops. We see some real decisions being made by the companions about their lives and we see the Doctor trying to understand how his friends live when he isn’t around. 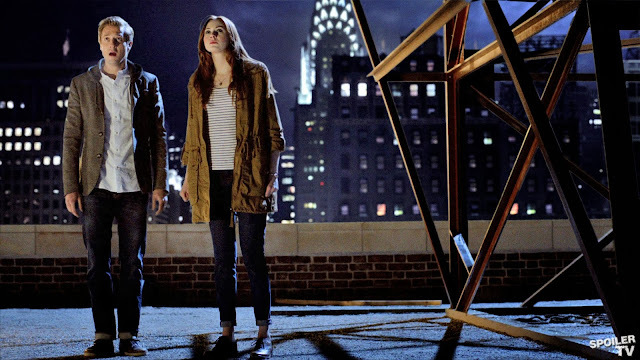 Rory and Amy have been with the Doctor a very long time in canon – even though they are not always with him. Although we haven’t seen every adventure the Doctor has had with his companions a sense of time passed has previously matched a length of a season. 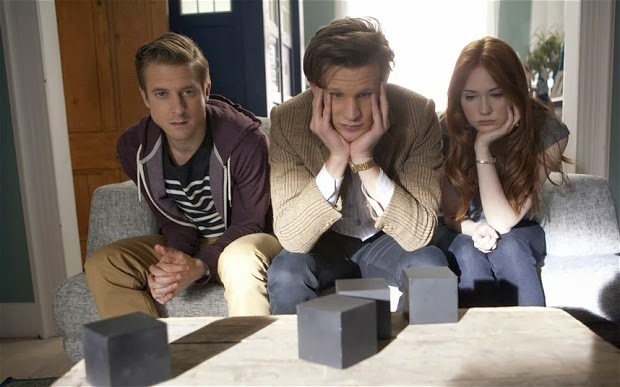 I think Amy and Rory mention it’s been about 10 years in one of the episodes, so it makes sense that they start questioning what they are doing and winding down. They have both recently suffered a falling out and re-committed to each other so it has become a more serious aspect of their lives to stay put and get on with living. Amy and Rory’s swan song includes their daughter River, is set in America and focuses not only on their love for the Doctor and River but their love for one another being the most important aspect of their lives. 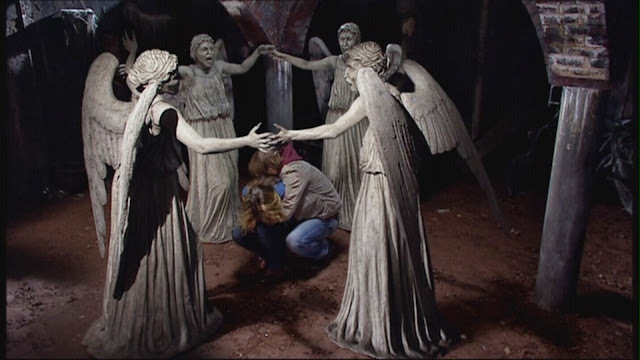 Facing off against the weeping angels again, they make decisions to protect one another and finally show a real lasting commitment. I haven’t talked about the Doctor’s latest companion Clara in this review yet, and really there isn’t a lot to talk about. Introduced in some capacity early in season seven she wowed us as Oswin Oswald in Asylum of the Daleks and was the saving grace of the Christmas Snowman episode as a different version of Clara. Unfortunately, Clara herself (not the real Clara as they like to say) leaves a fair amount to be desired. Clara thus far hasn’t been given the opportunity to demonstrate nearly as much skill and sass as her ‘fake’ counterparts. 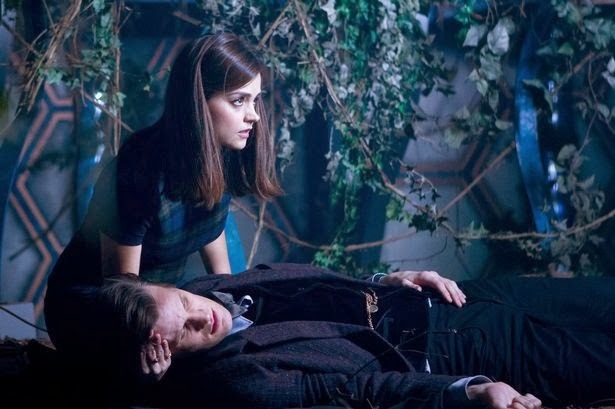 The Name of the Doctor explains that Clara sacrifices herself by running through the Doctor’s energy stream and scattering herself through time to save him over and over again and to guide him. 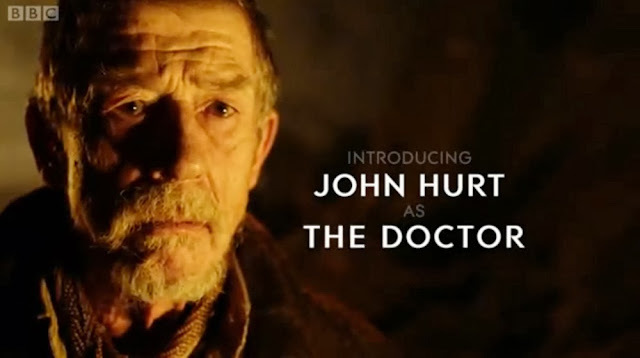 The Doctor in turn attempts to rescue her and in doing that faces his hidden regeneration – John Hurt’s Doctor. So you’re caught up! Well, almost. Let’s talk about Night of the Doctor – and if you haven’t seen it yet go watch it and come back. You don’t want to get spoiled for this one! Night of the Doctor completely blew my mind. We enter a space ship crashing into a planet and a woman called Cass who is trying to stop the crash. Paul McGann, the eighth Doctor appears, attempting to help Cass and get her off the crashing space ship. It’s the perfect introduction for a new companion and Doctor and McGann sings off the screen as the missed eighth. Upon seeing the TARDIS though, Cass recoils. Identifying that the Doctor is a Time Lord she sites the time war as a scourge on the universe and the Time Lord’s as being as bad as the Daleks. She refuses to go with the Doctor – saying she would rather die. The ship crashes on Karn and The Sisterhood of Karn, guarding the elixir of life, inform the Doctor that both he and Cass are dead; he has been temporarily rejuvenated to be convinced to become a warrior and stop the war. He drinks a concoction that allows him to regenerate into John Hurt’s War Doctor. It’s perfect. It is DAMN perfect and I want more stories on screen of both the eighth and the War Doctor. Naming his companions the eighth also canonised the Big Finish audio book productions with his Doctor so we can confidently go off and listen to more of his stories. Also, if now the potion on Karn means that he can choose what to regenerate into and the possibility of a woman is 100%, then maybe Capaldi’s Doctor will have to track The Sisterhood down to get more lives and maybe we WILL have a female set of regenerations? Leading up to what will be a very interesting and certainly a highly anticipated 50th Anniversary special we will also get to see a number of specials. Rumours are that Professor Brian Cox has produced a Science of Doctor Who Special and recently writer/actor Mark Gatiss confirmed the existence of An Adventure in Time and Space; a documentary about the development of Doctor Who made for the 50th Anniversary and airing on the 21st November 2013. There is also a reported Last Night that will make its way onto the 50th Anniversary DVD and presumably will be the end of John Hurt’s era. I am excited. Really excited. I have no idea how they will live up to the expectations of Doctor Who fans around the world but I really hope that they do!! !